Beautiful Gaelic Phrase rings from Ireland. 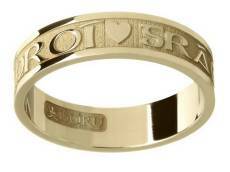 Ancient Irish phrases displayed on these gorgeous rings for you to show off. 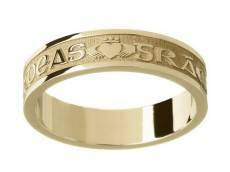 Irish Jewellery is special and so is the Irish language. 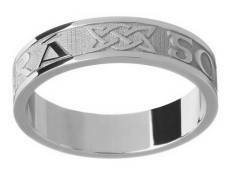 Both are celebrated on these incredible hand-crafted Gaelic Phrase rings. Anyone who has been given some Irish Jewellery as a gift treasures that gift just as they would treasure a piece of Ireland. And there is good reason for that.